Start the New Year with Something Extra Crispy like the New #KFCExtraCrispy Chicken! Made finger lickin’ good, KFC’s Extra Crispy chicken is double breaded by expert hands and fried to crispy golden-brown perfection. Every bite into this delicious, non-spicy offering is sure to give your taste buds something different to crave. If your mantra this year is "New Year, New You" then why not try a new and exciting chicken meal, too? Usher in the New Year with the crispy new you and the new KFC Extra Crispy chicken! If you want to travel, go and take that trip to your dream destination! And when you get "hangry"... think Extra Crispy! You can enjoy the KFC Extra Crispy chicken in any KFC meal of your choice, but the winning combo is KFC Extra Crispy chicken with rice, regular drink, creamy junior mushroom soup, and KFC’s signature gravy all for just P99. Also available for a limited time only is the Bucket of Fortune priced at P620. Wow! I super duper love KFC! Will definitely try this #KFCExtraCrispy Chicken! soon!!! EXPOSE THE CONSPIRACY! GOD AND THE DEVIL ARE BACKWARDS!! DON'T LET GUILT-FEELINGS, FEAR AND OTHER KINDS OF EMOTIONAL MANIPULATION RULE YOUR CHOICES IN LIFE!! I love KFC, and I tried that already and it feels you guys better try that one too! 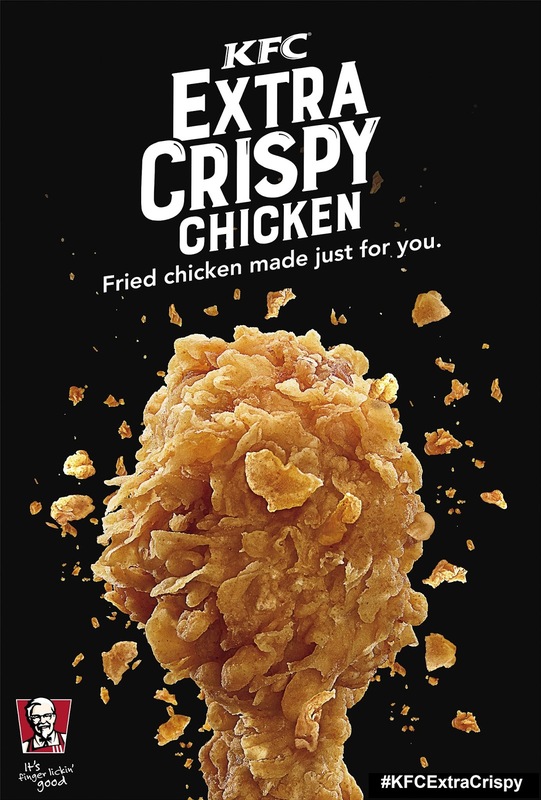 I also love chicken,and tasting this newly improved chicken of KFC makes me say "WOW" the taste is just the same but it more crispier than before and it makes more delicious. KFC is one of my fav chicken, Love it!